A View From The Hook: Rally For Shore Power - Monday, Jan 3rd, Noon. Cnr. Pioneer and Van Brunt Street, Red Hook, Brooklyn. Rally For Shore Power - Monday, Jan 3rd, Noon. Cnr. 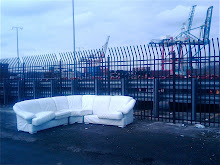 Pioneer and Van Brunt Street, Red Hook, Brooklyn. 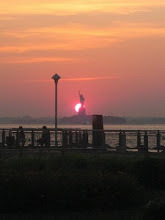 Photo, above, by Joshua Kristal, from South Brooklyn Post article - here. 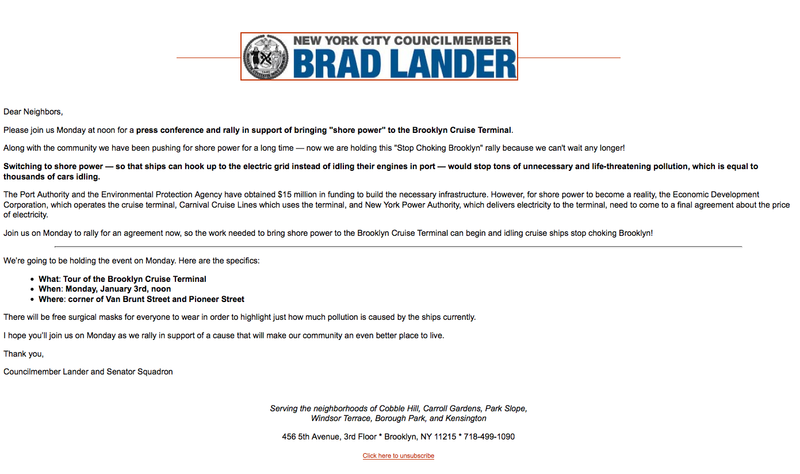 There has been much frustration in the community about the inability of the City of New York, the state's Public Service Commission, New York Power Authority and other 'powers that be' to finalize the much anticipated deal to bring "shore power" the Brooklyn Cruise Terminal, thereby allowing the visiting cruise ships to stop idling their extra-dirty diesel engines while in port, and consequently eliminating the harmful yet avoidable pollutants from our neighborhood's air and residents' lungs. This frustration has finally forced our representatives to start asking questions about why this deal - years in the making, with all parties in agreement about its benefits - is so hard to close, and why this proposal, which has been referred to as "low hanging fruit" and a "no-brainer" by advocates in the community, government, industry and environmental groups, is all taking so long. Two of our local representatives, Council-member Brad Lander and State Senator Daniel Squadron have been outspoken on this subject, and in an attempt to push this process forward have organized a rally and press conference to raise awareness of this issue .... and maybe even generate some much needed press coverage of this issue (hello, Brooklyn Papers?). Gas masks will be issued at the event - this Monday, Jan. 3rd, Noon, at the corner of Pioneer and Van Brunt Streets. 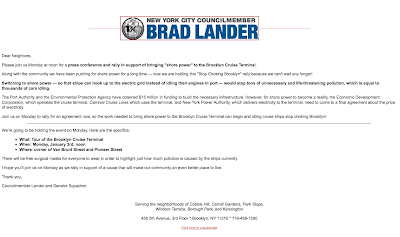 See the flier/ press release from CM Lander, below (click to enlarge). If we can get this shore power deal done, the Port Authority has stated in testimony to the Public Service Commission that the estimated savings in "monetized health costs" to Brooklyn residents will be $9 Million, per year. My post with links to this statement, here. That means that currently the cruise ships are costing Brooklyn residents, especially our most vulnerable, $9 Million in health costs, per year - that's in cancer, asthma, heart and lung disease, and more. In reality, this plan should be the first, small step in taking these harmful ship-created emissions, including greenhouse gasses, out of our entire city's air. Shore power and the idle-free practice of "cold ironing" should be being pursued throughout the Ports of New York and New Jersey with all types of ships - cruise, container, etc., (as has been implemented over the last 10 years in L.A. and Long Beach and other West Coast ports), with resultant health benefits to all of our residents, but especially to vulnerable port-side communities. Please attend this rally to show that you want to see this deal closed and this important first step taken. 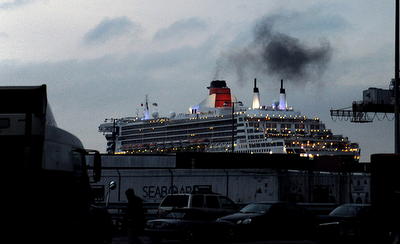 The Queen Mary 2 will be in port, so don't forget to get your gas masks!